основное применение в ремонтных работах - защита и удержание проводников и дорожек при работах по восстановлению пятаков и дорожек. - Features exceptional print definition for its thixotropic properties. - Excellent resistance to flowed soldering alloys. 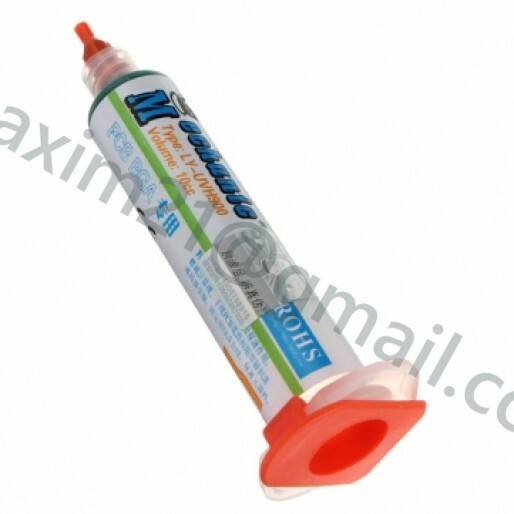 - Withstands most aggressive solvents and fluxes. - Grant outstanding mechanical properties (hardness, adhesion, resistance to shearing). - Offers utmost di-electric properties. - Is nearly odourless and has low irritation index. 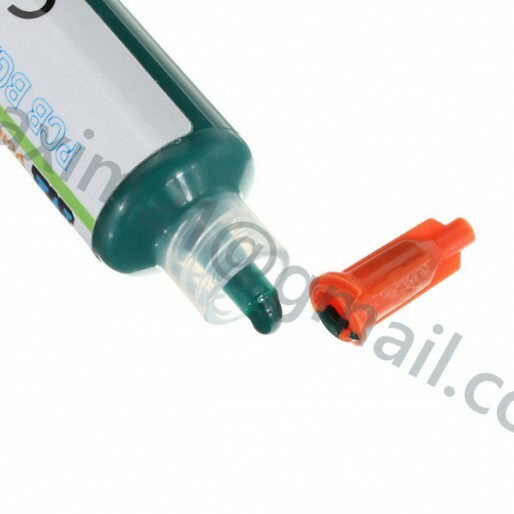 - Finish in semi gloss green for easy inspection. - Specific weight: 1.30 at 25 degrees C.
- Viscosity (Brookfield Viscosimeter, spindle 7 speed 50rpm at 28 degrees C): 120 - 140 poise. - Curing speed: about 4-5 metres per minute with 3x200W/inch UV lamps.